The term “Now you see, now you don’t” maybe the best way to describe Fayetteville emcee and Rap’s groundhog J. Cole. 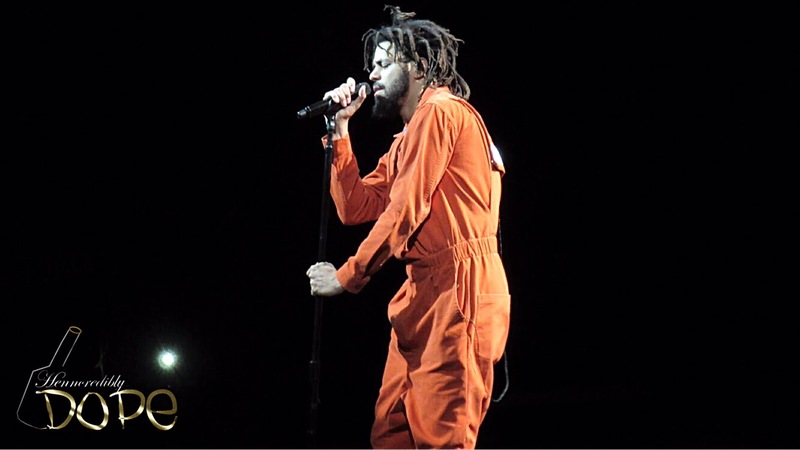 After 2013’s Born Sinner, Cole began to submerge in the depths of family life. Reappearing only to cause tsunami-like waves in Hip-Hop. The internet won’t let us forget that the Dreamville rapper went Platinum with no features on the Grammy nominated 2014 Forest Hills Drive. 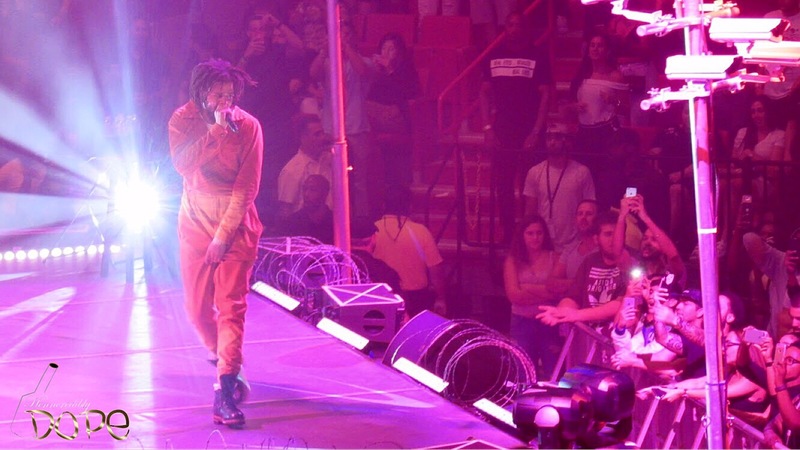 Memes and jokes aside, the 4 Your Eyez Only Tour was worth every penny. 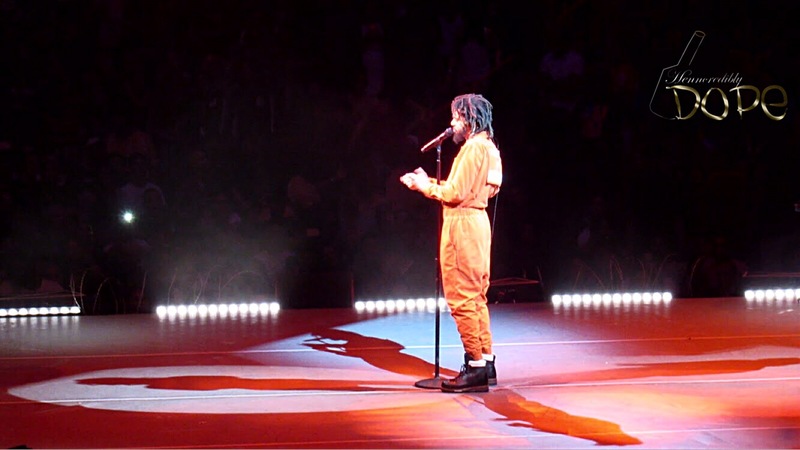 Cole always delivers a superior show, and this one was no exception. 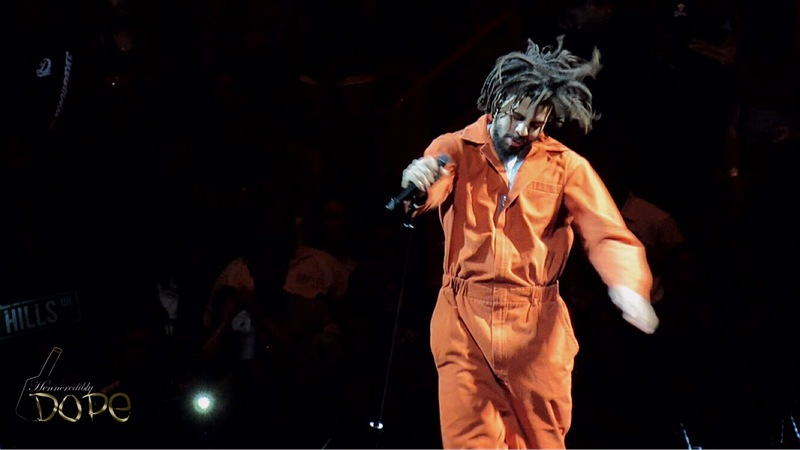 Cole’s jumpsuit and the prison yard stage really helped to contextualize the album. 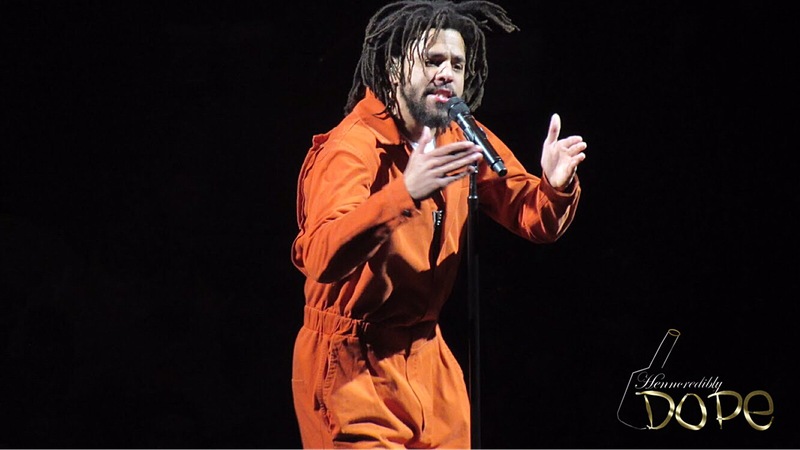 When you see Cole in a prison suit rapping about love and fatherhood, it shows that Black men are more than just the “thugs” the media portrays us as. 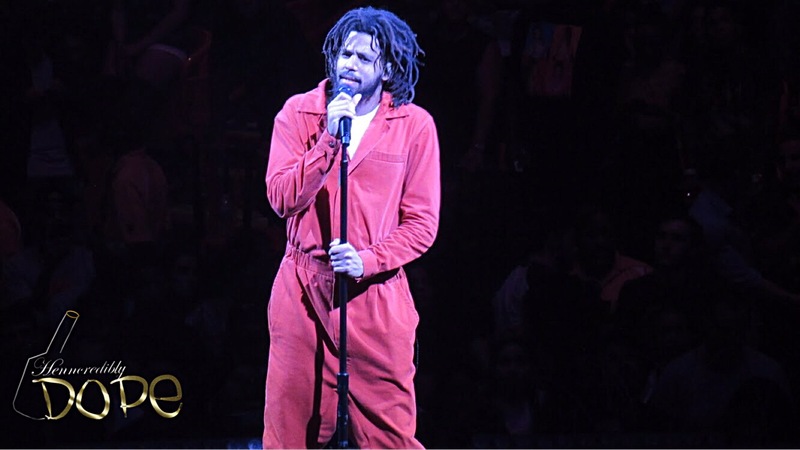 Having been to a couple of J. Cole concerts before, I know he’s not one to really work the stage. He’s more of a stationary, center stage performer. This was my only negative critique of the show. With the stage in the middle of the arena, I expected him to perform to all sides of the stage and crowd. 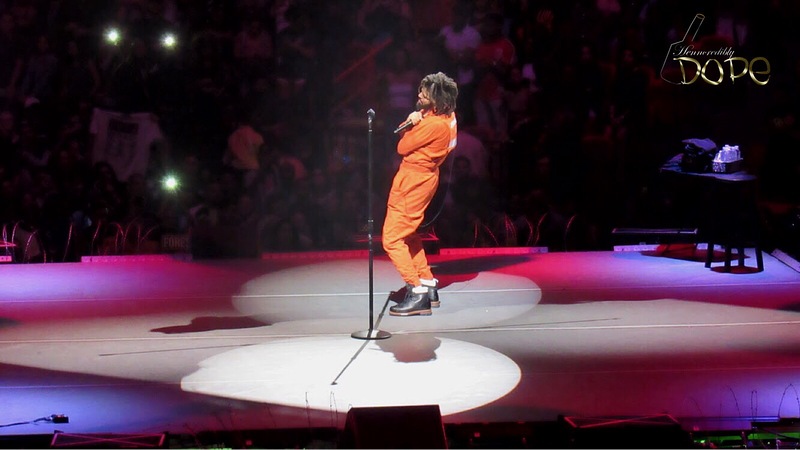 However, he primarily focused on the front of the stage leaving those sitting behind him, myself included, to watch the back of his dreads for the majority of the concert. 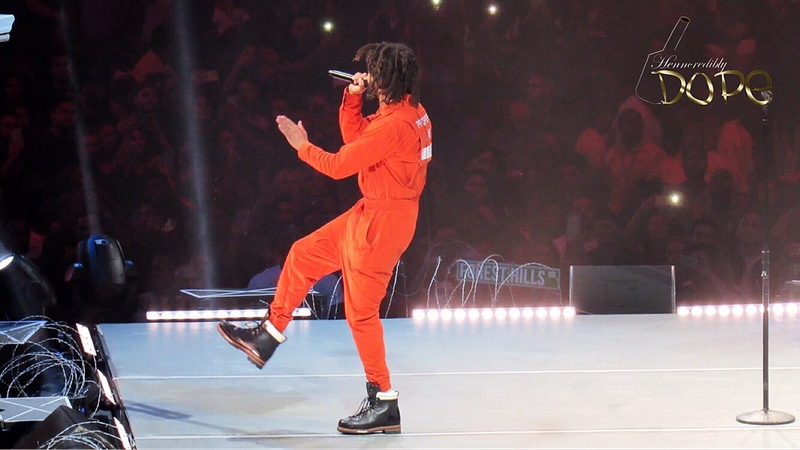 Due to an extensive catalogue, Cole wasn’t limited to performing only singles and hit records. 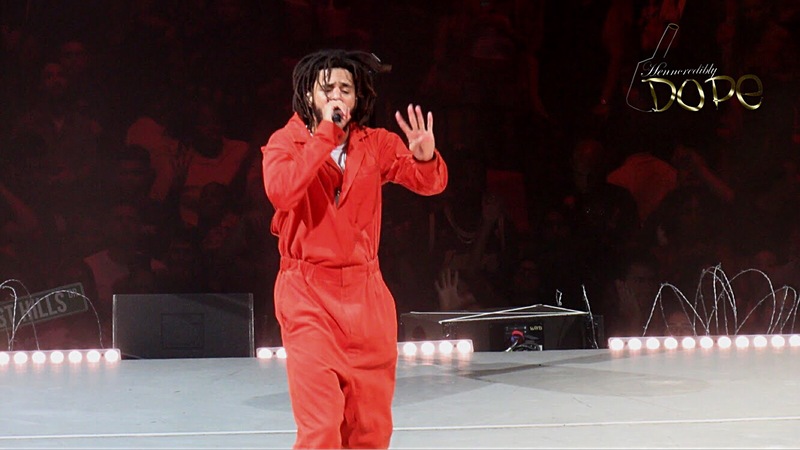 No songs got the crowd more hyped than “G.O.M.D.” and “No Role Modelz” off of 2014 Forest Hills Drive. 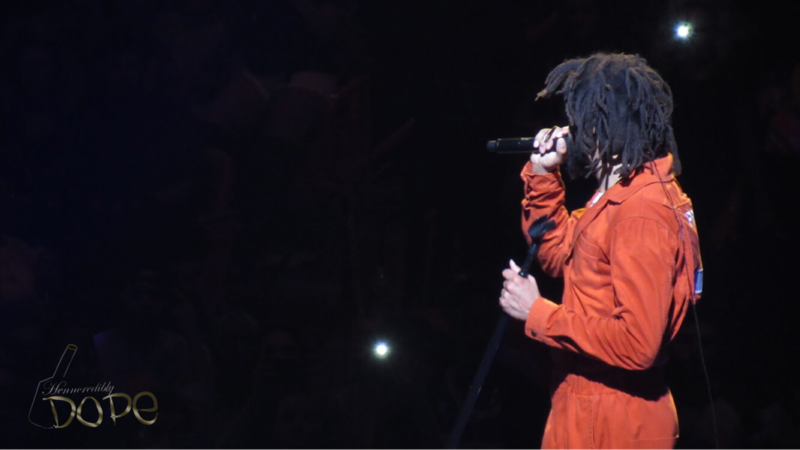 Hearing Born Sinner’s “Forbidden Fruit” transition into “Neighbors” was another standout from the evening. 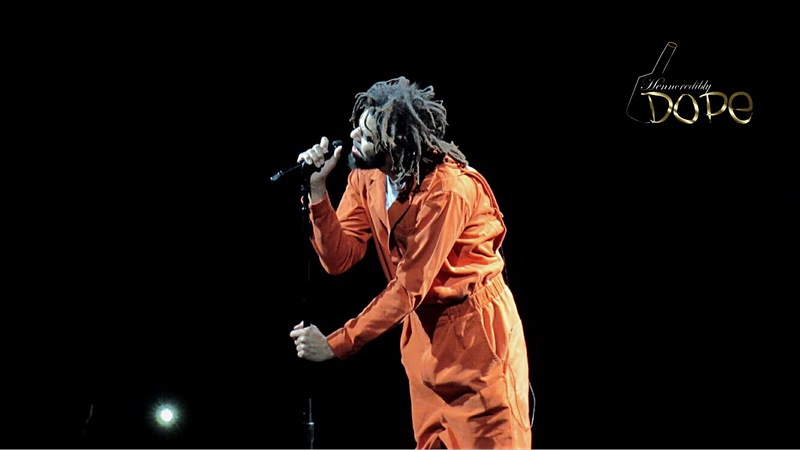 Unfortunately, the U.S. leg of the tour ended yesterday and once the tour is completely over, we can expect Cole to disappear until he’s ready to bless us with his presence again. If you missed the tour, check out our photo recap down below. Great photos! 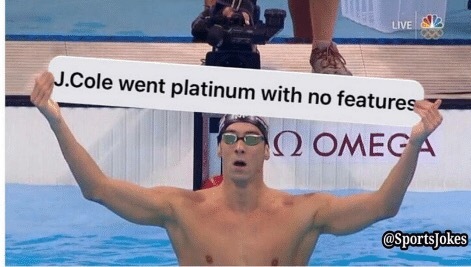 I love J. Cole!